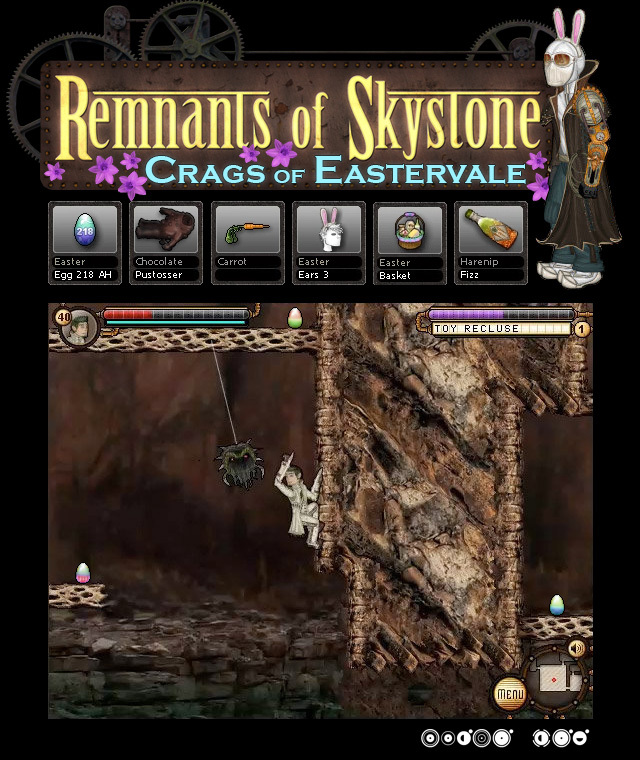 Just a friendly reminder that our holiday events for the Crags of Eastervale celebration will come to an end tomorrow at midnight. This is your last chance to earn some delicious Chocolate Pustossers! Also as an Easter bonus for today only, Bandero Chert will be giving out a commemorative 218 AH egg to anyone who can bring him 3 bags of Jelled Gluco-Beans. Don’t forget Lana Westwood is still selling Holiday Bunny Ears at the low-low price of 3000 spores!